Ladies and gentlemen, forget about loafers, high heels and boots for this year's fashion trend are sneakers. Not only Chanel has introduced it (even) in a Haute Couture collection, but the new freedom for our feet is taking fashion by storm. 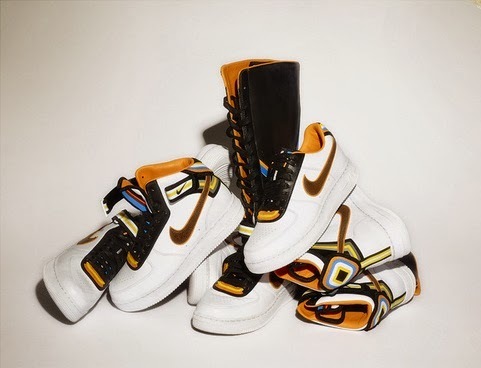 Nike has teamed up with Givenchy's creative director Riccardo Tisci for an exclusive range of high luxe sneakers and covetable capsule collection, after collaborations with Parisian brand A.P.C. and British department store Liberty London. wearing the Nike Airforce 1 Knee Hi sneakers. A big theme—drawing inspiration from streetwear—in his Givenchy Fall/Winter 2014-2015 menswear collection, the Italian designer revisited the American sportswear brand's iconic Nike Air Force 1 sneaker model. The legendary shoe comes in four versions: low, mid or hi-top, and a knee-high style, featuring wide straps in vibrant colors for a tribal feel. 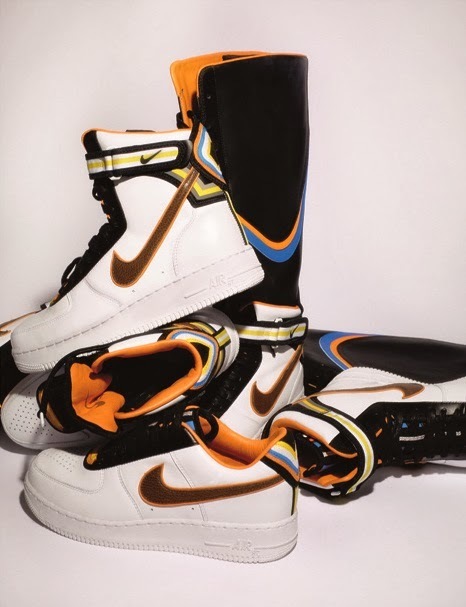 The unisex appeal of Nike Air Force 1 has made it a feature on feet worldwide, including those of Riccardo Tisci himself, as he recently claimed to Vogue US that he owns at least a 100 identical pairs of the sneaker. “The shoe is universal yet somehow very personal. I travel all over the world, and I see people wearing the Air Force 1, and they wear it in so many different ways. And so I was thinking, what is the essence of the Air Force 1? And how do I take that essence and make my own statement?” says Riccardo Tisci. The four new models will be available in white by March 2014, to be sold in selected stores and on nikelab.com, and then in a black version by April 1. Find the nearest Nike store or authorized retailer in your area HERE. Nike came a long way from being sports shoes and now, fashion shoes. But I still think it somehow looks a bit different. I'm not big on sneakers but I must say these are gorgeous! MUST. GET. ONE. Sneakers are very comfortable to wear. I like to pair them with artsy and colorful socks but can't wear girly dresses together with this combo hehe. Wow! great collaboration!. I'm a big fan of Mr. Tisci's works. The nike air force 1 design looks really cool and classy. it looks really cool and nice and neat though I can afford it I wouldn't buy it as it is not a fave of mine. and I never bought anything too expensive as the other brands. hehe still need to save money. The looks adorable and clean. These styles are definitely for the young generation. My children are very interested in them. 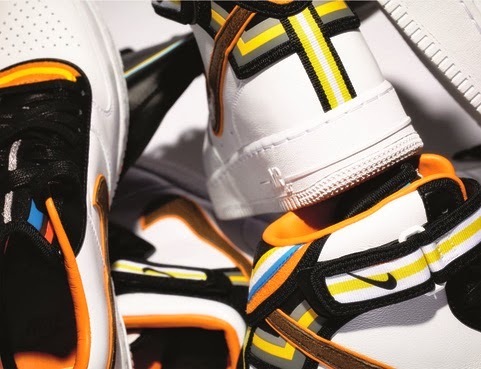 Wow, sporty meets fashion this will be surely good collectible for Nike Fanatics. I think this kicks will be just one of the many coming out..
Looks really nice though, I see so many friends matching kicks with anything, even dainty dresses. Majority preferred Nike as their shoes of the century! Love the style and the trust for its quality.